Protect your heating system with one of our valuable service plan options. Our heating plans include our annual precision tune-up, parts and labor coverage, and additional equipment coverage. We offer two levels of coverage for oil heating systems depending on your preferred coverage as well as coverage for oil-fired water heaters. Our heating service plans also include valuable oil tank protection with up to a $1,500 credit to upgrade your current oil tank! 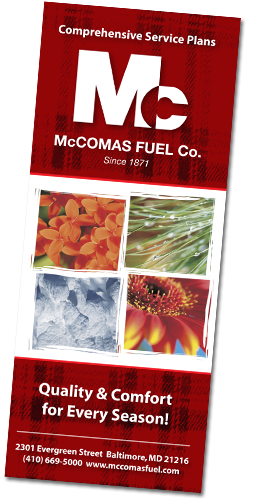 To sign up for a McComas Fuel Company service plan and experience peace of mind this heating season, give us a call at (410) 669-5000.